In large cities, expanses of grey concrete are being broken up with green. 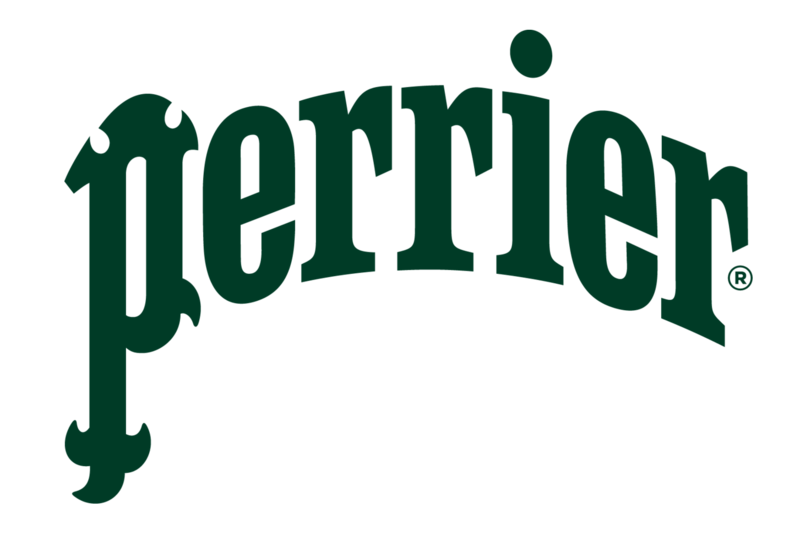 One of today’s key concerns, the introduction of green spaces into cities is – and always has been – a fundamental topic at Roland Garros. 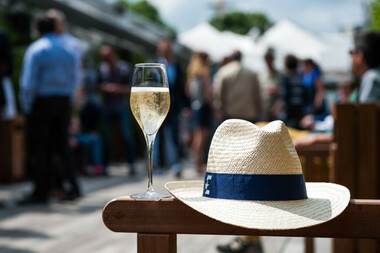 Making nature more prominent in the urban environment and boosting the atmosphere’s oxygen levels are two of the ambitious objectives set for Roland Garros stadium. 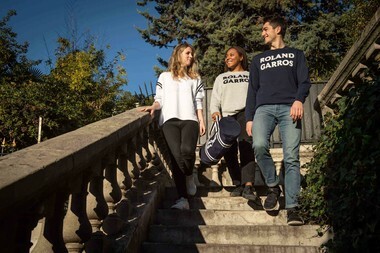 Thanks to its new planted installations that offer a number of ecological benefits, Roland Garros is committed to preserving and cultivating biodiversity. The aim is also to respond to the public’s increasing thirst for green spaces, fight against climate change, improve air quality and help this urban stadium to blend into its exceptional surroundings. Plant life is taking root inside the Porte d’Auteuil stadium for the long term, and it perfectly matches this unique environment. 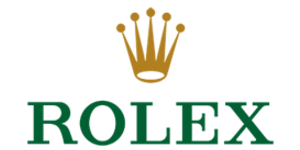 Corporate Social Responsibility is defined as a concept in which companies voluntarily incorporate social, environmental and economic issues into their work and their interactions with their stakeholders. 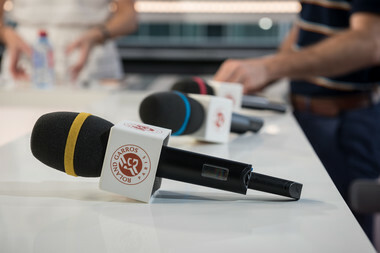 Roland Garros was determined to incorporate CSR into its stadium renovation project from the very outset. 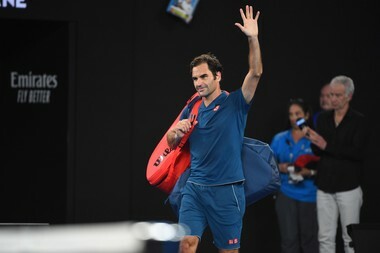 Why does Roland Garros want to be responsible? 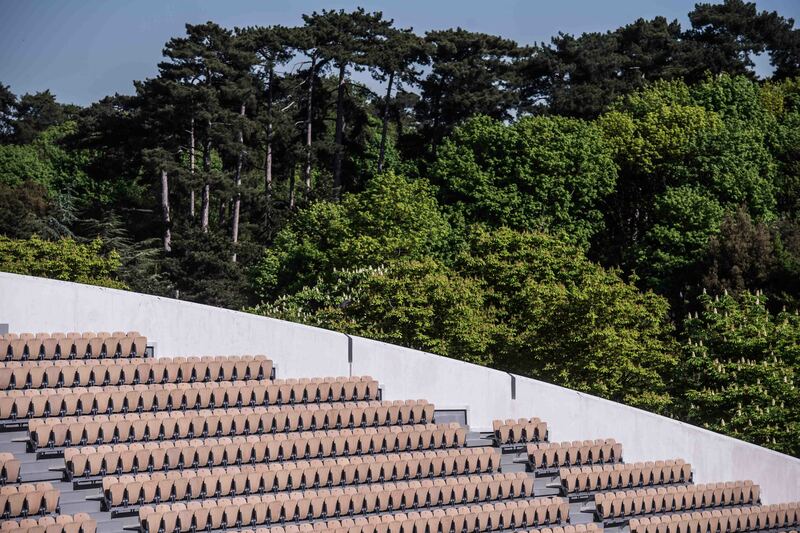 A listed site on the edge of the Bois de Boulogne, Roland Garros stadium has been positioned at the junction where spontaneous yet tamed nature meets resolutely modern materials and design from its very outset. 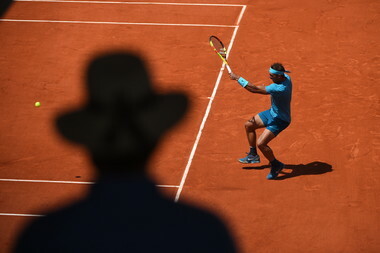 This is why, as it undergoes its transformation, the New Stadium will not cast aside its fundamental values, opting to stay in line with the Roland Garros DNA. Guided by the plans put forward by landscaper Michel Corajoud, the New Stadium stands for a philosophy that enables it to fit into its exceptional surroundings, despite being in the city, and even to magnify them. 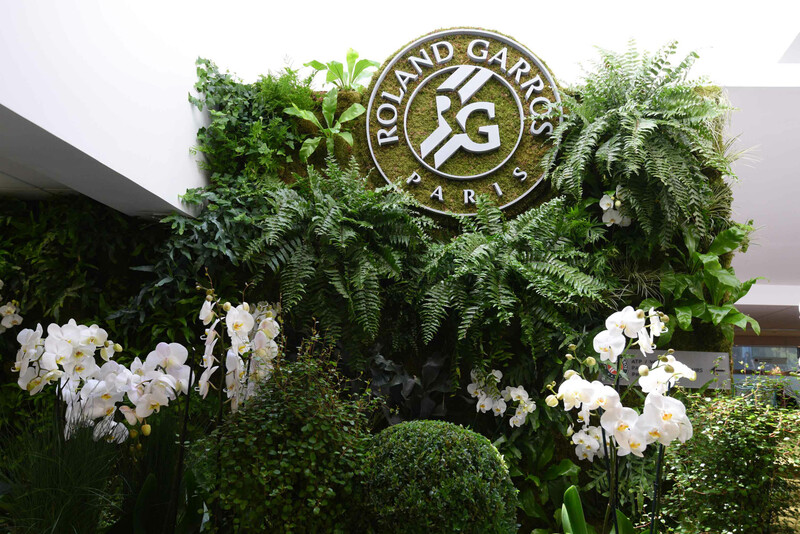 “I wanted to create a fusion between the beauty of sport and the beauty of garden plants, to make these two worlds blend into one another,” explained landscaper Michel Corajoud, the man behind the blueprint for the New RG. 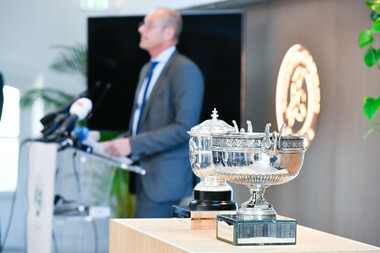 What changes have been made for Roland Garros 2019 and its future editions? The only plant ecosystem of its kind in the world, this semi-sunken court is enclosed between four greenhouses, which will house collections of plants from the five continents. 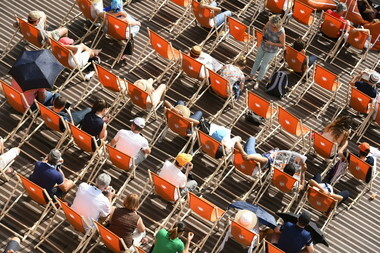 Five thousand spectators can be seated in this stunning venue, which is the perfect illustration, once again, of the alliance of sport and nature at Roland Garros. 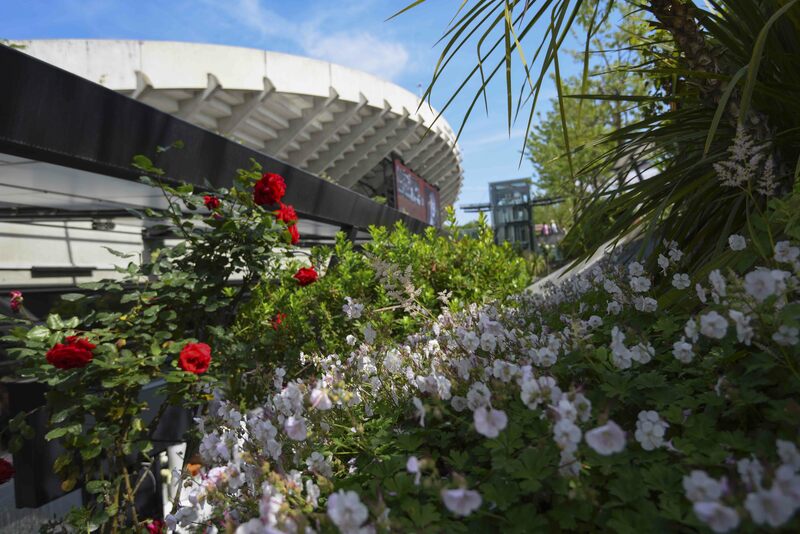 Fruit plantations, honey making, a “Roland Garros“ rose variety, plant walls, more than 123 trees planted inside the stadium between now and 2020: revegetation is truly at the heart of the Roland Garros universe. 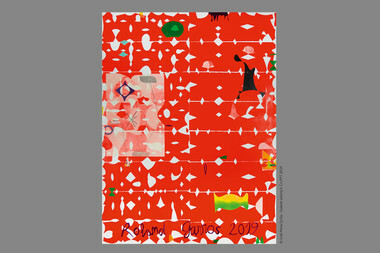 It was only natural that plants should be the common theme for the 2019 tournament, popping up in the Griffe RG collection, in the style guide and on the website as one the main themes of the 2019 event. The stadium’s central walkway is being transformed into a contemporary green belt. 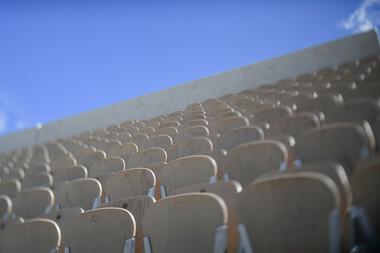 The revegetation of the stadium’s pathways will not only make it more pleasant for spectators to stroll around the grounds, but will also help the sports facilities to blend into the unique Porte d’Auteuil environment. The demolition of Court 3 will not only make way for a majestic stadium entrance, but will also allow a larger Place des Mousquetaires to be created. This once-cramped area will be transformed into a vast green esplanade covering just under one hectare (2.5 acres), which visitors can easily get around and where they can relax during the tournament. 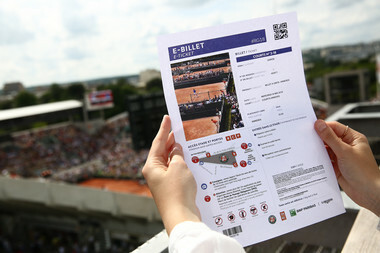 Installed on the eastern facade of centre court, a giant screen will show live matches throughout the duration of the tournament. 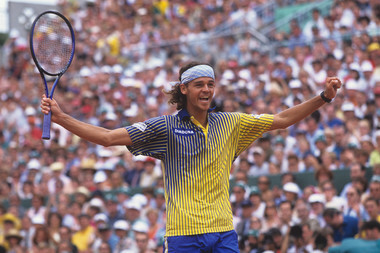 Every year, once the competition fortnight is over, the Place des Mousquetaires will be opened up to the public, like any other Parisian square.